If you don’t see testimonials appear on this page, please follow below steps to edit this page. Edit this page in Visual Composer. 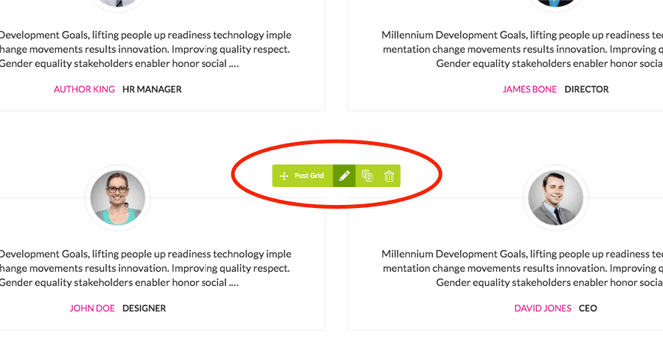 Click Edit button () as showing on the picture. In tab General, choose Data source is Wpdance_testimonial. 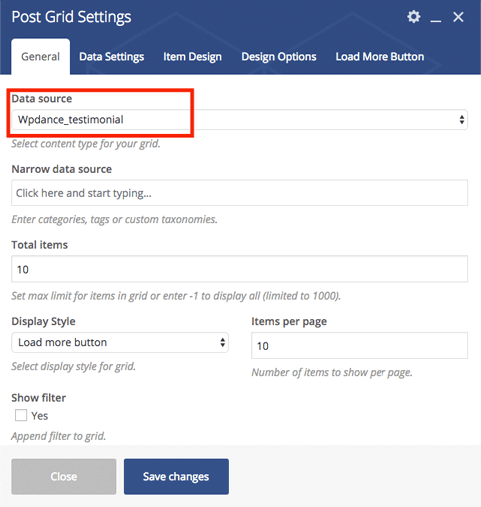 In tab Item Design, choose Grid element template is WPDanceClara – Testimonial.